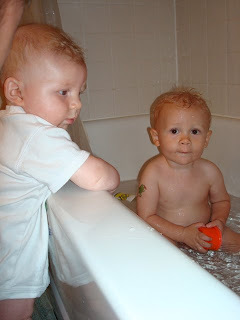 Jonathan was enjoying watching Casey take a bath this evening. 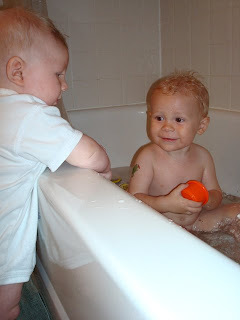 Casey is very animated and "talkative" in the tub, so he was keeping Jonathan at rapt attention. 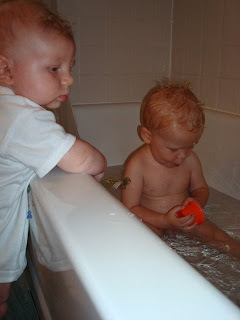 As you can see, Jonathan's getting very good at standing on his own if he has something to balance against. 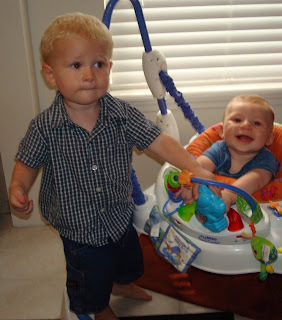 I've also included a picture of Casey "helping" Jonathan in the jumper.